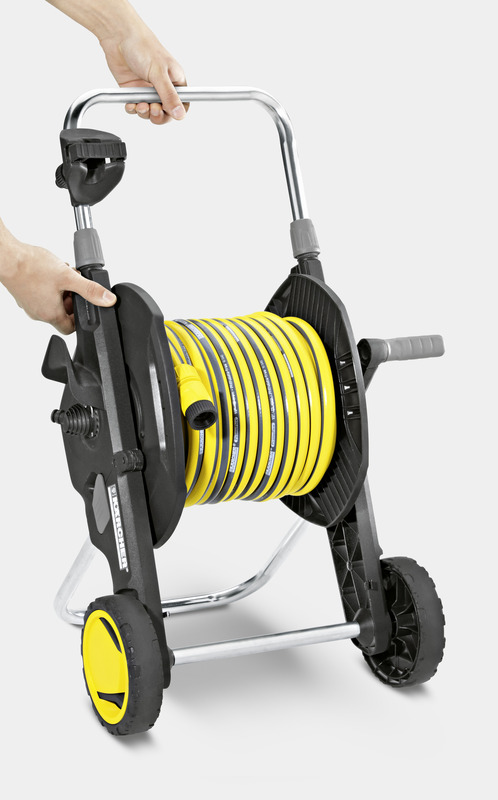 Hose Trolley HT 4.500 26451700 https://www.kaercher.com/tn/home-garden/watering-systems/hose-storage-and-hose-trolley/hose-trolley-ht-4-500-26451700.html Very mobile hose trolley with accessory holder and storage hook. 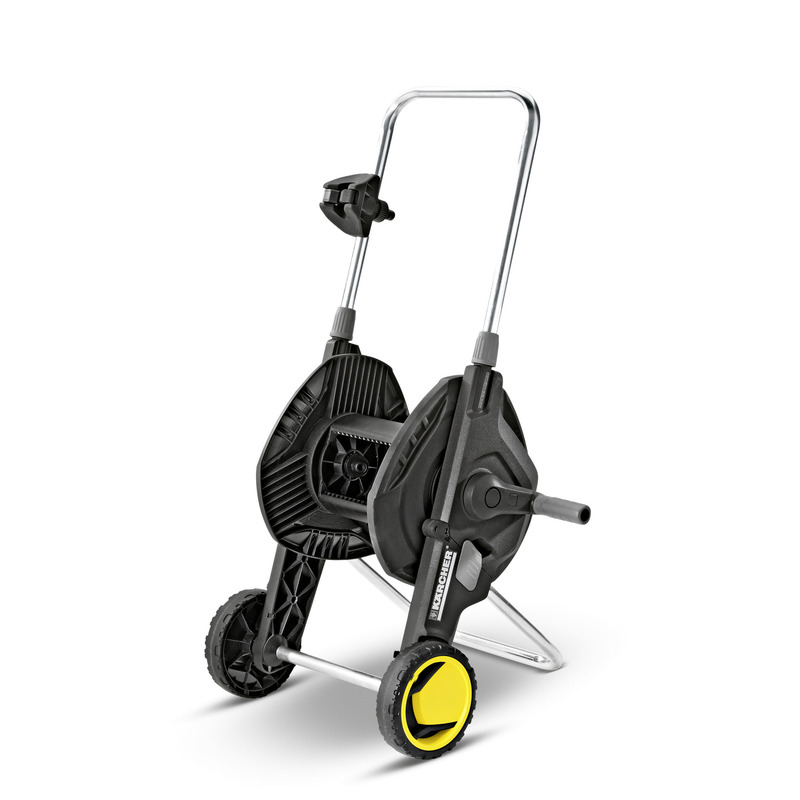 With height adjustable handle, angled hose connectors to avoid kinking of the hose, free-wheeling crank and foldable for space-saving stowage. Fully assembled. Very mobile hose trolley with accessory holder and storage hook. 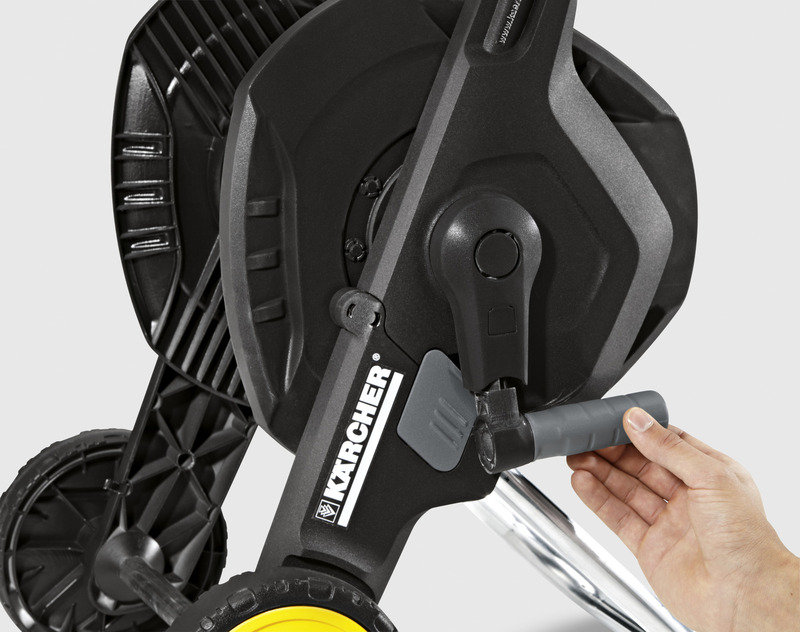 With height adjustable handle, angled hose connectors to avoid kinking of the hose, free-wheeling crank and foldable for space-saving stowage. Fully assembled. Trolley to go! The new ready-to-use Hose Trolley HT 4.500 with accessory holder for spray lances, spray guns, etc. and a stowing hook for the short hose is a kit full of ideas. There is no need to drag the hose laboriously through the entire garden anymore as the trolley is always at hand and therefore at the watering site. The long hose is connected to the water tap, rolls out onto the ground and stays there. This keeps the hose clear of garden beds, bushes and furniture. 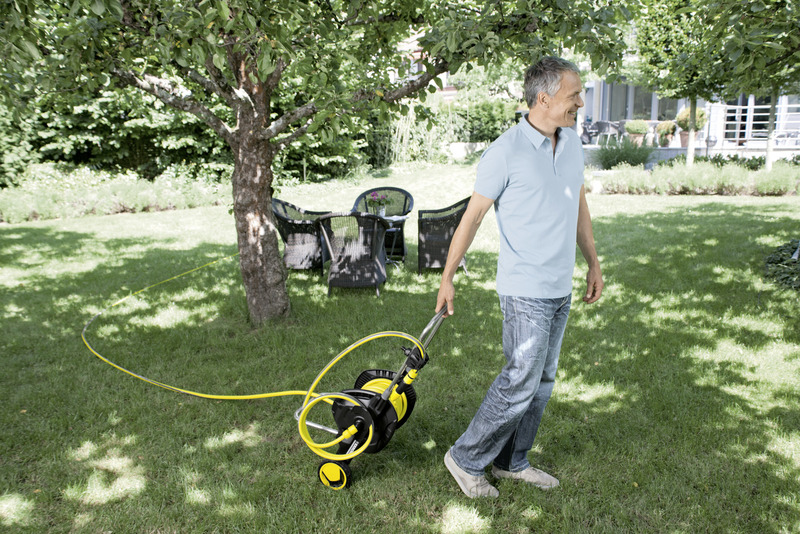 Watering within a range of about 3 to 5 m around the hose trolley is conveniently taken care of with the shorter hose. And thanks to its folding function the HT 4.500 can be stowed easily and especially space-saving. 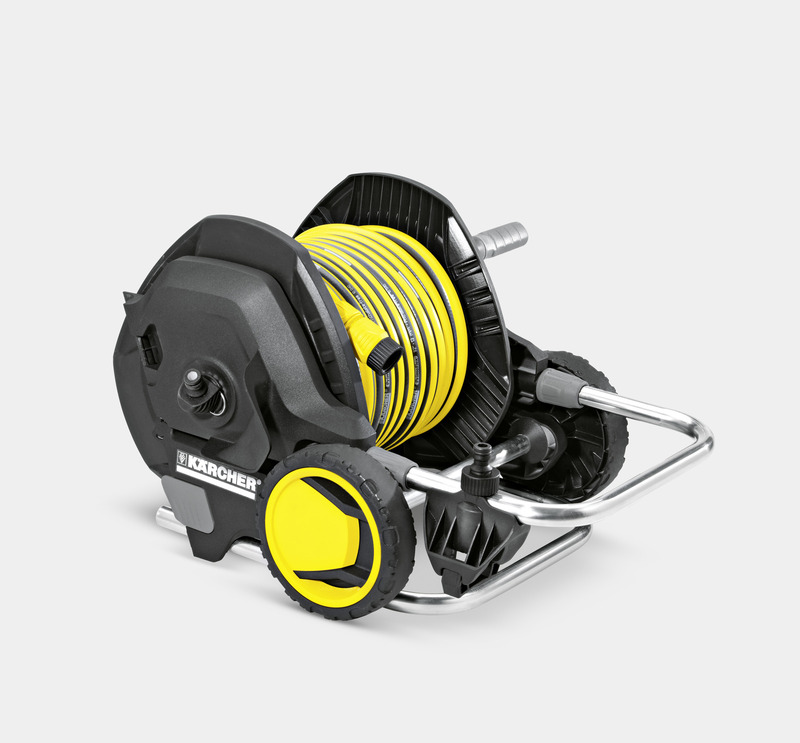 The featues: height adjustable handle, 2 x hose connector, suitable for all common hoses; Capacity: 50 m 1/2"-hose or 35 m 5/8"-hose or 23 m 3/4"-hose. Fully assembled.